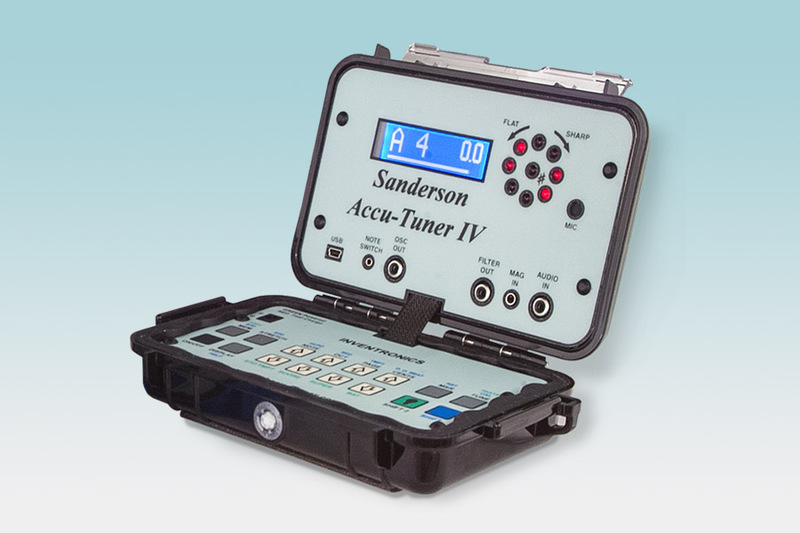 After years of development, we are proud to announce the release of the next-generation of Accu-Tuners®, the Accu-Tuner IV, which we'll also refer to as the SAT IV. 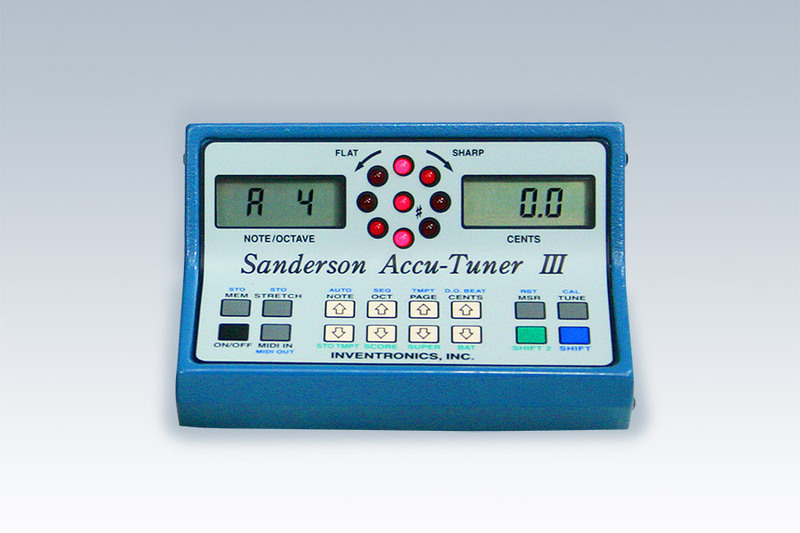 SAT, in case you were not aware, stands for Sanderson Accu-Tuner. Though this new model still utilizes the same simple and straightfoward interface as previous models, it boasts many new features you'll surely find beneficial and help you in many new ways. The most obvious difference is the physical unit itself. 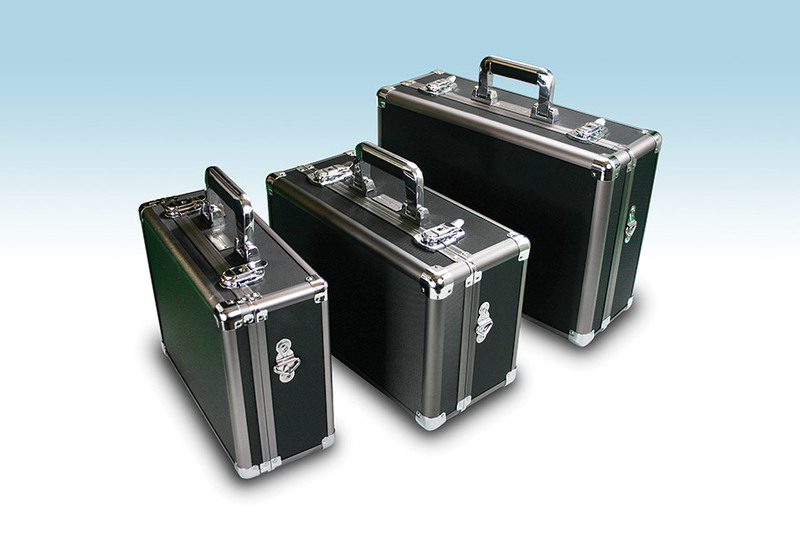 In answer to many requests for a smaller case that would fit into an everyday workbag or toolbox we designed its new clamshell design. It open and closes like a laptop, but that's where the similarity ends. drawing from the Accu-Tuner's heritage of indestructibilty, our case is a special polycarbonite able to withstand abuse and tumbles that would relegate all but the most hardened laptops to the scrapheap. In addition, we've included a watertight seal to make it impervious to liquids of all kinds. Only miltary-grade laptops can match it. And it is still small making it extremely portable. The screen is larger. Our screen isn't as large as a laptop, but its large enough for reading what you need to know. The LCD Display is no longer limited to seven-segment display; it is now possible to have complete help text displayed. The manual is no longer the only location for reminders of procedures press the HELP button and the manual is available on the display of the Accu-Tuner IV. Plus the backlit LCD allows easier viewing in low light situations. USB ports allowing easier communication with computers and the windows software for loading, offloading tunings, and updating the Accu-Tuner IV is included. The USB has superceded the MIDI of the older models and is compatible with nearly all modern PCs. Now boasting accuracy that surpasses previous Accu-Tuners. Hard to believe but true. the accuracy of the Accu-Tuner IV will never be matched by software-based tuners. Another new feature which has been on our "most requested list" is the inclusion of a bar graph to show the strength of the signal from the piano. This may now help you understand why the display may not register strongly. The memory has more than doubled. In the new Accu-Tuner IV memory is increased from 197 to over 400 pages of memory, so you can store more of your custom tunings. Generic tunings are permanently stored on pages of memory, so they can no longer be overwritten by mistake, yet you can make an exact copy on a regular page of memory. So now you can take a standard "generic" tuning, copy it and customize it all you want without fear of over-writing. A boon for many professional tuners. Temperament pages increased from fourteen to twenty eight temperaments. Sequence pages increased from four to eight sequences. Piano Manager software is included with Accu-Tuner IV, so the flexibility and peace of mind of being able to offload your customized tunings and save them on your computer. The latest version of the Accu-Tuner IV operating manual is on the Piano Manager CD along with the Piano Manager Software and Manual. FREE software updates. Unlike competitors who charge for software updates, Accu-Tuner updates are completely free. So when a new feature is added or tweaked, you'll be able to download it to your Accu-Tuner IV and keep on tuning without further investment. If we weren't already the industry leader in accuracy and ease-of-use, this feature alone would make the Accu-Tuner the greatest value in electronic tuners available today. Store multiple temperaments. 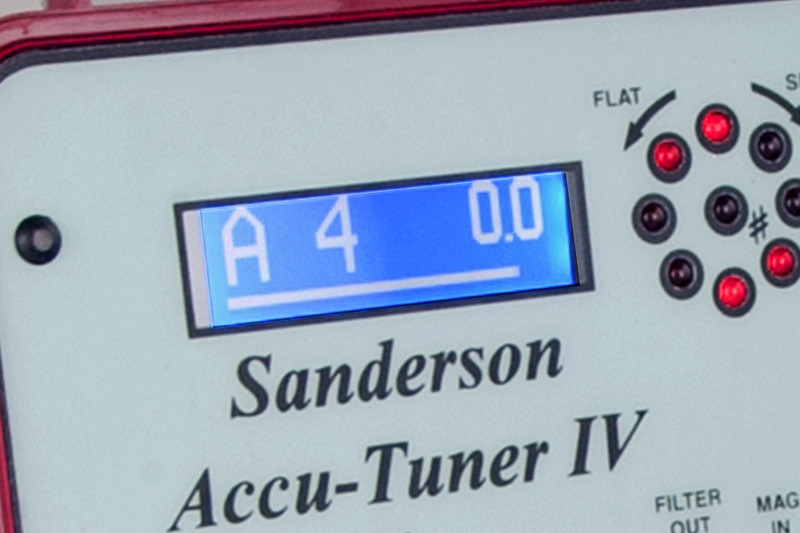 The Sanderson Accu-Tuner IV (SAT IV) is able to store an FAC tuning with any temperament and include a pitch offset, which makes it great for early music tunings or tuning a piano at its present pitch. The optional magnetic pickup makes it possible to tune in noisy environments where tuning would be impossible otherwise. Compare the SAT IV to the SAT III. Other optional accessories: Magnetic Pickup; Tuning Hammer Thumb Switch; and Instructional DVDs from Jim Coleman and George Defebaugh.